On Friday, August 21 and Saturday, August 22, 2015, the MCICNJ Trustees met to have their annual meeting at Skytop Lodge located in Skytop, PA. The MCANJ recently attended the MCAA National Convention in Maui, Hawaii held from March 8-12, 2015. At this convention there were interviews and appointments available for new MCAA National Board Members if there is a vacancy. During the 2015 Convention there were openings for new Board members and many qualified candidates were interviewing for the positions including MCANJ’s own, Brian C. Hughes from Hughes Environmental Engineering. Inc., located in Mahwah, NJ. 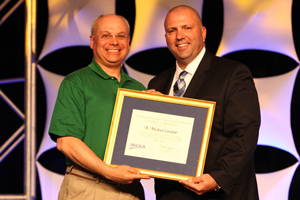 The MCANJ is proud to announce that Brian C. Hughes was selected to serve on the MCAA National Board of Directors. This will be the third member from New Jersey that will serve on the Board. Currently, MCANJ President, Robert J. Durr, Jr. and Nicholas Sapnar serve on the National Board and adding Brian is a great addition and representation for New Jersey. Brian has a strong background in his community and in the industry. Brian currently serves on the Board of Directors for the Ridgewood (NJ) YMCA, where he is primarily responsible for charitable fundraising efforts and assisting with aquatic programs. He also serves on the Y’s World Service Committee and has helped fund or build three new YMCA branches in Haiti since the massive earthquake there in 2010. In 2011, Brian traveled to La Boule in the Haitian countryside to help build a YMCA in the town. In 2014, the Hughes family recovered dozens of doors, windows and plumbing fixtures from their own home renovation project and sent a shipping container to Haiti for re-use of the building materials for another YMCA in Cape Haitien. Brian currently serves as the Vice-President of the Bergen Catholic High School (NJ) Alumni Association and heads efforts to connect young alums with prospective alumni employers along with other mentoring activities. A graduate of Williams College (MA), Brian serves in numerous capacities as an alumnus since graduating in 1990. He currently serves as a class chair and is the co-chairman (with his wife Stacy) of the class’ 25th reunion to be held in June of 2015. Brian Hughes is a Director of the Mahwah Chamber of Commerce. In the HVAC industry, he also sits on the employer Advisory Council for numerous HVAC vocational schools, including Bergen County Vo-Tech and both the Union and Mahwah, NJ campuses of Lincoln Technical Institute. Brian also has his LEED-AP qualification and is a MCANJ Board Director as well. 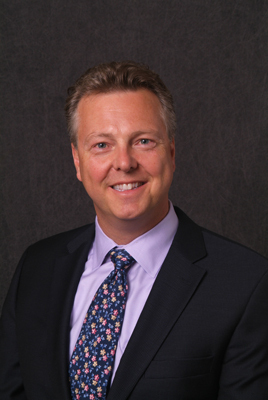 Brian Hughes is the Executive Vice President at Hughes Environmental Engineering and oversees sales and marketing. He is leading efforts to develop new business opportunities, continues to lead the maintenance sales team and coordinates all recruiting activities. Congratulations to Brian C. Hughes for this great accomplishment. The MCANJ is very proud to have Brian represent New Jersey and the industry. Robert J. Durr, Jr., was elected President of the Mechanical Contractors Association of New Jersey, Inc., at the Annual Membership Meeting in June 2014. He is the Vice President and the Secretary of Durr Mechanical Construction, Inc. He is a New York City Licensed Master Plumber and Master Fire Suppression Piping Contractor. With over thirty years’ experience in mechanical contracting, Bob is regarded as one of the mechanical contracting industries’ foremost welding experts. As Vice President, Bob oversees DMC’s Estimating and Procurement Department as well as shop operations. He is currently involved with labor relations and the overview of major power, process and specialty projects. Bob oversees DMC’s QA/QC program – including monitoring and maintenance of all welders, procedures and NBIC “R” and ASME “S” and “U” code stamps. He also guides the company’s employee development and training strategy. In addition to his duties as an officer of the company, Bob is a respected leader in local and national industry associations and trade organizations. 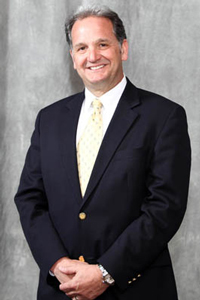 Bob currently serves on the Board of the Mechanical Contractors Association of America (MCAA). He has also served on the Subcontractor Trade Association’s Executive Committee. Bob is involved with both the MCA of New York and the MCA of New Jersey. He’s held many titles, including the Chairman, Treasurer, and Technical Representative of the Greater New York Welding Chapter/NCPWB since 1993 and has served on the National Certified Pipe Welding Bureau’s Board of Directors since 2003. 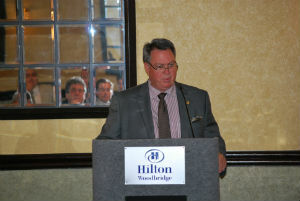 As MCANJ President he also serves as the Chairman of all of the MCANJ Committees. Finally, Bob is on the Trustee Boards of both Local 475 Steamfitters and Local 5 Boilermakers. The Mechanical Contractors Association of New Jersey Membership has had the pleasure of hearing some great speakers. 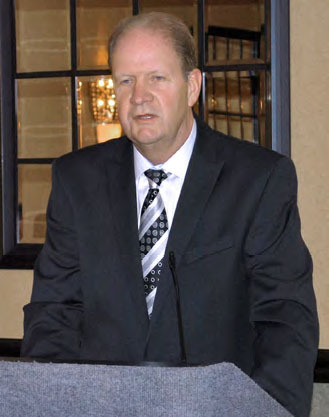 Recently, the MCAA National President, Chuck Fell, addressed the membership at its Wednesday, June 11, 2014 meeting at the Hilton Woodbridge located in Iselin, New Jersey. President Fell spoke about his new role as MCAA National President, upcoming National events such as the MCAA Mid-Year Education Conference in June 2014 held in Indianapolis, Indiana and the National Convention that will be held March 2015 in Maui, Hawaii. He also spoke about the education provided by the MCAA including webinars offered to its membership and praised the MCANJ for all of its participation nationally. President Fell was a very well received speaker and we truly appreciate him taking the time out of his busy schedule to address the MCANJ Membership. We wish him all the best in the future. The Mechanical Contractors Association of New Jersey Membership has had the pleasure of hearing some great speakers. 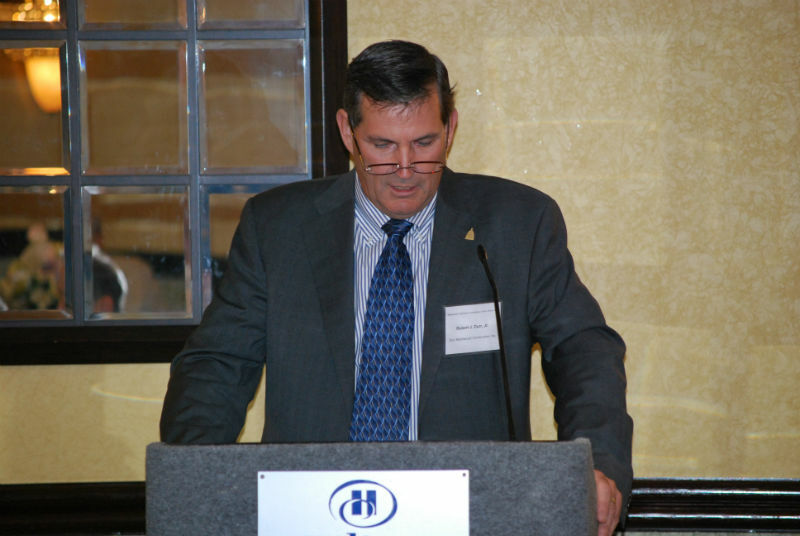 Recently, the MCAA National President Michael R. Cables, addressed the membership at its November 19, 2013 meeting at the Hilton Woodbridge located in Iselin, New Jersey. 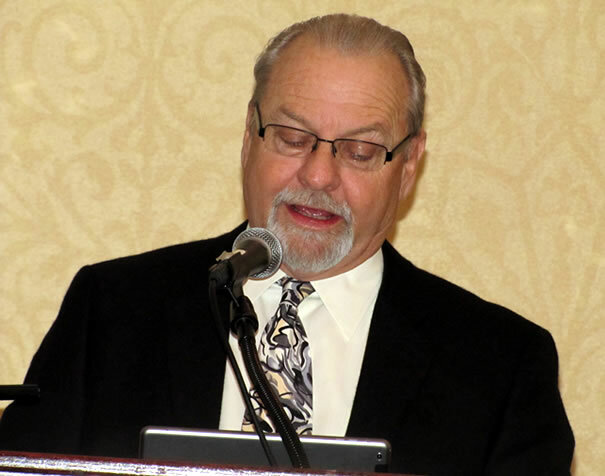 President Cables spoke about his experiences as MCAA National President, upcoming MCAA events such as the MCAA National Convention in March 2014 held in Scottsdale, Arizona. He also spoke about the education provided by the MCAA including webinars offered to its membership. President Cables was a very well received speaker and we truly appreciate him taking the time out of his busy schedule to address the MCANJ Membership. We wish him all the best in the future. 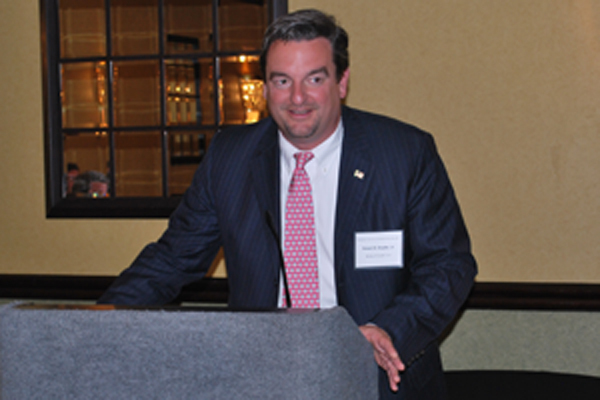 Robert B. Snyder Jr., Executive Vice President of Binsky & Snyder, LLC, in Piscataway, N.J., recently was elected President of the Mechanical Contractors Association of New Jersey, Inc. at the Annual Membership Meeting held in June. 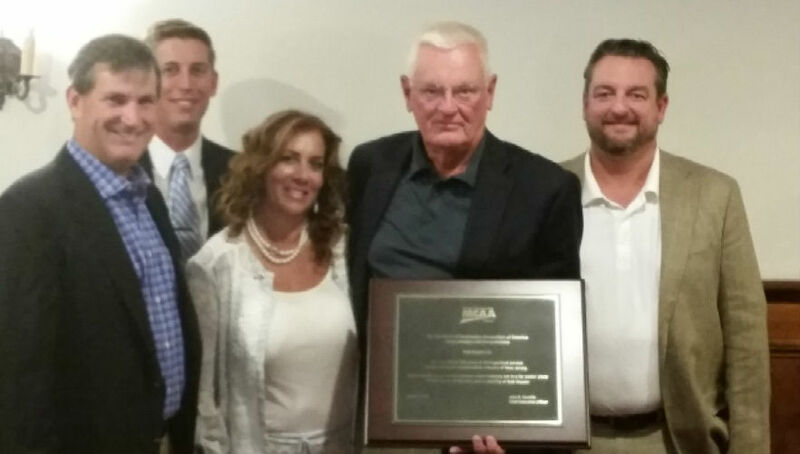 Bob has devoted significant time to the Mechanical Contractors Association of New Jersey and to the Mechanical Contractors Industry Council. He is Chairman of the Welding Committee and serves on the Legislative and Labor Policy Committees. Bob has served as a Trustee on Plumbers Local 24 and is currently a Trustee at Steamfitters Local 475. Mr. Snyder is a fourth generation Contractor who was exposed to all aspects of the business, including sales and estimating, project controls and management, engineering and drafting, purchasing, information technology, and financial management. In addition to his office and management experience, Bob worked in tool and fabrication shops, spent time on the road in a service van working in the field with service technicians and developed hands-on skills on projects working with the Plumber and Pipefitter Craftsmen. Robert B. Snyder, Jr. is a graduate of Bucknell University with a Bachelor of Science Degree in Mechanical Engineering.